Computer scientists at the University of Texas at Austin believe that robots could evolve more efficiently if offered the opportunity for mass extinction events. Computer scientists Risto Miikkulainen and Joel Lehman co-authored the study published in an open-access paper in the journal PLOS One. 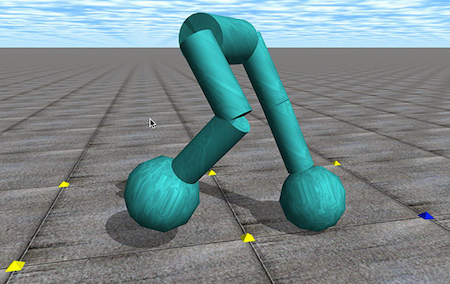 ...they connected neural networks to simulated robotic legs with the goal of evolving a robot that could walk smoothly and stably. As with real evolution, random mutations were introduced through the computational evolution process. The scientists created many different niches so that a wide range of novel features and abilities would come about. The new varieties of claws. We're completely at their mercy, aren't we? By now they've probably gotten into the UN lines, too. It makes me wonder if we're not seeing the beginning of a new species. The new species. Evolution. The race to come after man."